Boomerang, we all are familiar with this term and we know how it can make our recorded moment or object in looping world of backward and forward. It makes your moments more funny and joyful. If you don’t know what boomerang videos are? Then you need to know read on. Well to quote Instagram, “It’s not a photo. It’s not a gif. It’s a Boomerang.” Boomerang video was first introduced by Instagram. It presents a video or a set of burst photos in a manner where they are playing in forward and backward. You can use it to puts your moments on loop playing. We can simply create a boomerang from the apps of Facebook, Instagram and Snapchat as a new video. 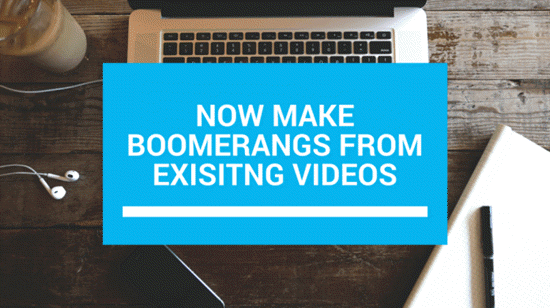 But are you wondering how to create or convert a existing video (saved in phone) to a Boomerang? If yes, then you are at right place, we will let you know how to make Boomerang from existing saved videos in both Android phone and iPhone. Tips: If you deleted videos from iPhone, you can always use Jihosoft iPhone Video Recovery to get them back from iPhone or iPhone backup easily. There are several apps available in the Google play Store which facilitate us to make boomerang from saved video. This below mentioned app is handy and easy to use. Step 1. Search for video Boomerang Converter app in Google Play Store and install app named Looper – Boomerang Video Converter. Step 2. Open installed app and it will ask you to sign in/sign up. You can sign in with Facebook. Step 3. Then you will be shown camera to shoot video. Tap on the Gallery icon (under Recorder icon) to open saved video. It will directly open your Gallery. Step 4. Now select video from your gallery to convert it into boomerang. Step 6. Now after making changes as per your need, just tap on the “Loop It” option located on the top right corner. Step 7. After that it will be saved directly. You can directly share the converted videos from the app to your social media apps. 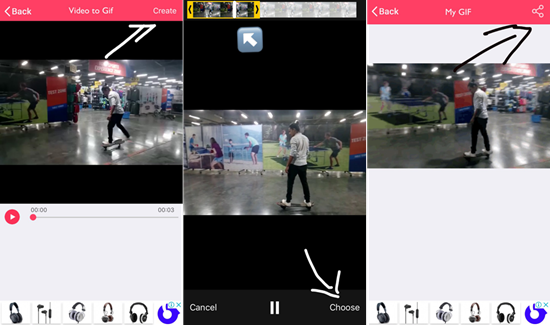 As Instagram is always the best option to make boomerang by recording video at first place, but it doesn’t offer a feature of converting existing videos into boomerang. So you need to install third-party apps to make amazing boomerang. 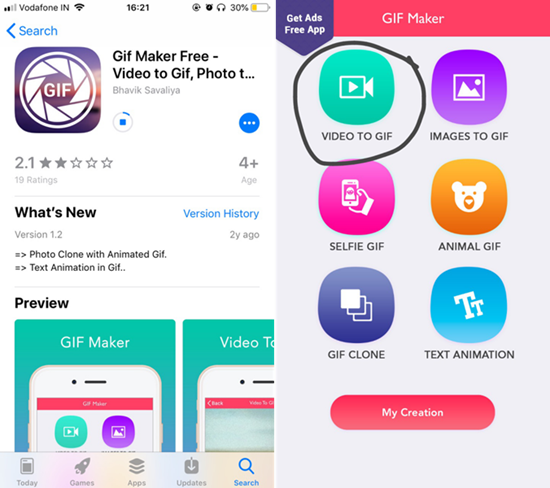 There are several apps available in the App Store which help to create Boomerang or GIF from the saved video in the iOS device. The below discussed app is one of the best apps to convert videos to boomerang on iPhone. Step 1. Search GIF Maker Free app in the Apple App Store and install the app on iPhone. Step 2. open the app and tap on “Video to GIF”. It will open your saved videos. Step 3. 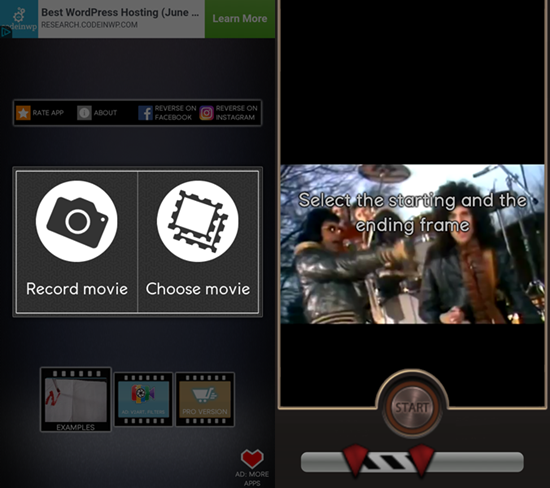 Select the video you want to convert as Boomerang. Step 4. 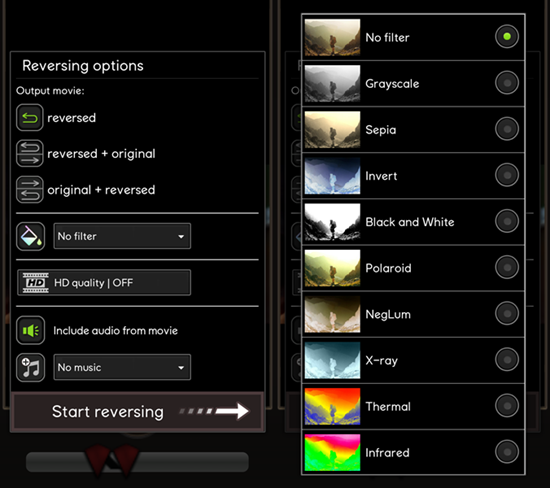 Select the part of video that you want to convert as boomerang from top yellow slider and tap on “choose”. Step 5. Then it will take you the next screen where you have to tap on the “create” located on the top right corner. Step 6. Here you will be shown your final product. Tap on the share icon (top right corner) and click on “Save Imaged”. And your boomerang is ready to be posted on your social media. In this era of Internet we all are on several types of social media such as Facebook, Instagram, and Snapchat. There are a lot of features offered by these social media apps to be more creative and make our social media profile more appealing. Now you know how to make boomerang from the pre-recorded videos of yours and post them to get more applause. If you have any question or suggestion, welcome to leave a message below.